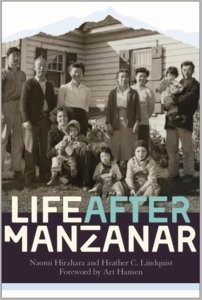 From the editor of the award-winning Children of Manzanar, Heather C. Lindquist, and Edgar Award winner Naomi Hirahara comes a nuanced account of the “Resettlement”: the relatively unexamined period when ordinary people of Japanese ancestry, having been unjustly imprisoned during World War II, were finally released from custody. Given twenty-five dollars and a one-way bus ticket to make a new life, some ventured east to Denver and Chicago to start over, while others returned to Southern California only to face discrimination and an alarming scarcity of housing and jobs. Hirahara and Lindquist weave new and archival oral histories into an engaging narrative that illuminates the lives of former internees in the postwar era, both in struggle and unlikely triumph. Readers will appreciate the painstaking efforts that rebuilding required, and will feel inspired by the activism that led to redress and restitution—and that built a community that even now speaks out against other racist agendas.